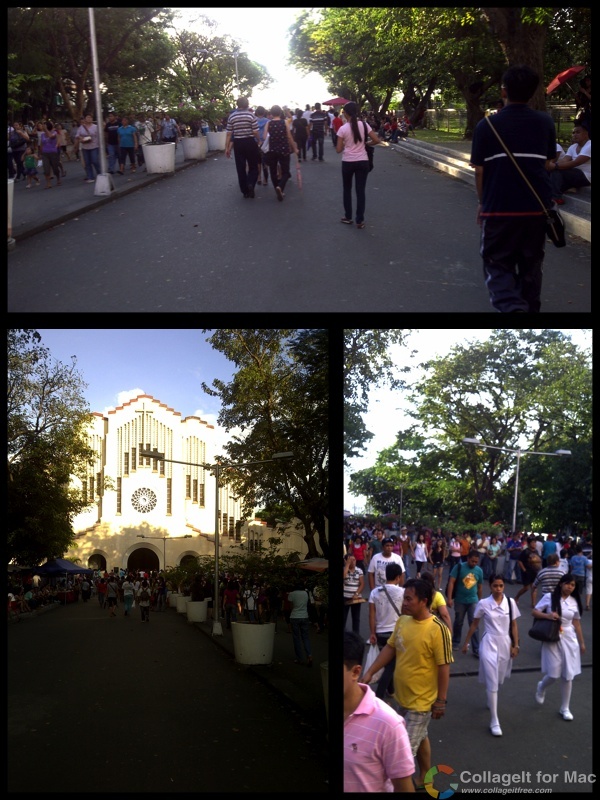 One Wednesday afternoon, I drove for my in-laws to Baclaran coz their driver was out sick. I used to go there once in a while. But it’s been a year since I went. Getting there wasn’t hard, just pass the way to the airport and go straight instead of turning left on Petron. That road will lead you straight to Roxas Blvd. What’s a bit of a challenge is near the church, lining up to get near the church and finding parking. I was lucky that a car left a few minutes after we arrived. There will be some men on the street who will assist you park or even look for slots for you, of course you have to give them a tip when you leave. Here's what you'll find outside the church. A long driveway leading to the church. You'll see people from all walks of life. Here's a view of the inside of the church. Since it's a HUGE church, they have LCD tv's all around for people to see what's happening at the altar. And there's another smaller structure at the side of the church where people can light and offer some candles. Outside the gate of the church there are a lot of vendors of all sorts. Accessories, clothes, slippers ,balloons, and even a small market. There’s also Chowking, Goldilocks, and a couple more establishments beside the church in case you need to get a snack or go to the restroom. 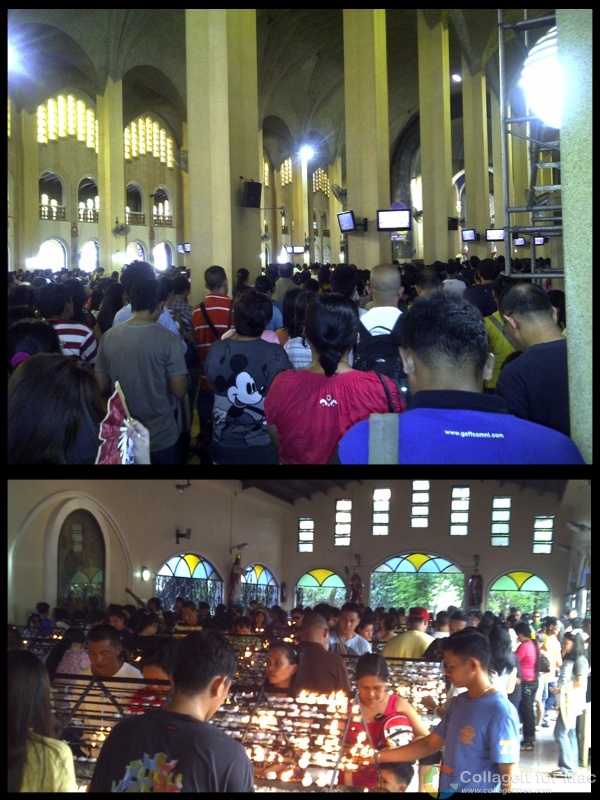 Try visiting Baclaran to say Thanks or pray for someone or something. It’s quite an experience.